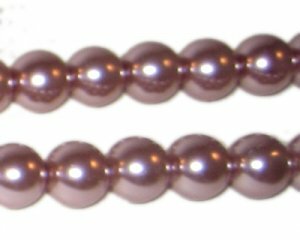 These are 10mm Round Mink Glass Pearl Beads on an 8" string, approx. 22 beads. I love this site, I make lots of jewelry and get the best looking beads, and my customers are very happy too.thanks DollarBead.